In the year of the $1000 iPhone Amazon just announced a scattering of new gadgets and none cost more than $150. Essentially, Amazon said “screws the margins” and are selling everything as cheap as possible. This race to the bottom is Amazon’s standard operating procedure. The company did it with Kindles e-readers and again with Kindle Fire tablets. The company releases a proof of concept and lets the market respond. If the response is favorable, Amazon releases the Kraken on the market. Amazon announced today the quirky Echo Buttons that cost $20 a pair, the $35 Echo Connect landline thing and a $70 Fire TV capable of 4K. 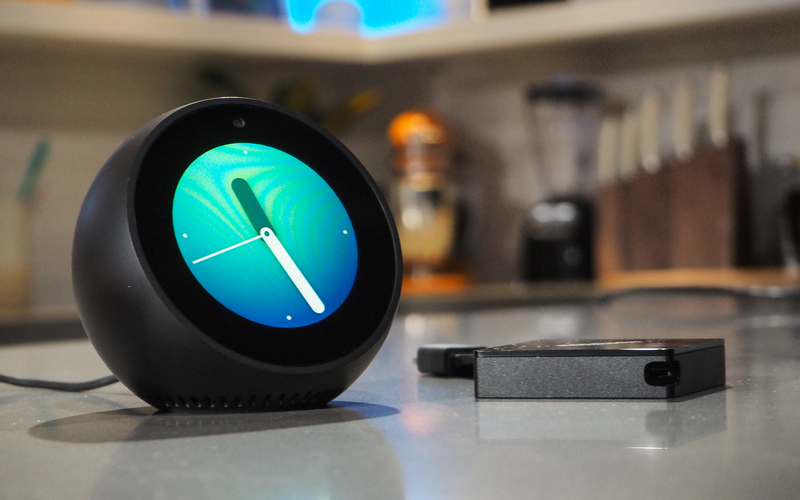 And then there’s the swanky $99 cloth-covered Echo, adorable $130 Echo Spot alarm clock and the $150 Echo Plus, which sports all the goods from the original Echo plus a smart home hub and comes with a Philips Hue bulb. There’s even a talking Big Mouth Billy Bass. No word on its price, though. If that’s not cheap enough, many of the products are available through bundles that pair an Echo with a Fire TV model so owners can experience smart home commands right out of the box. So far the strategy worked with the Kindle and Kindle Fire tablets. In both cases, after the market liked the original model, Amazon slashed the hardware margins and flooded the market with quality hardware with MSRPs dramatically under the competition. In this most recent example, the Echo had a commanding hold on its market much like the Kindle did years ago. Amazon, following its known strategy, just sucked much of the air out of the in-home assistant market. The breadth of Amazon’s inexpensive offering is impressive. Amazon now sells Echo products for as low as $20 and bundled a Fire TV Stick with an Echo Dot for $60. Said another way, a person could get three Fire TV Sticks and 3 Echo Dots for the price of one Apple TV 4K. If 4K is needed on the Fire TV, Amazon has a bundle for that, too, and a person could purchase two bundles of Fire TV 4K and Echo Dots for $20 less than an Apple TV 4K. At the top of the line is the $199 Echo Look and $229 Echo Show. Both were announced earlier this year but round out a huge product line. There are now 8 different types of Amazon Echos available for purchase. This bevy of Amazon products were announced at a pivotal time. Rumor has it Google is about to announce updates to its Google Home line including an Echo Dot-like smaller Google Home. Google was already playing catch-up and now it’s nearly inconceivable Google or Apple will be able to catch Amazon.